(P1) The flu vaccine is doing a better job this year. (P2) Preliminary data suggest it is 59 percent effective. 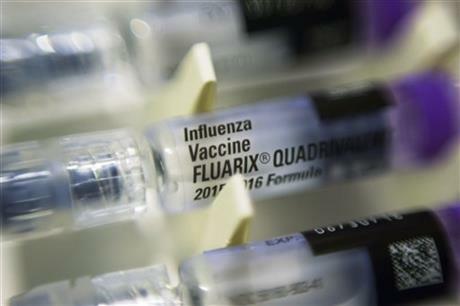 That’s a big improvement from last winter’s nasty flu season when the vaccine was less than 20 percent effective. (P3) Unlike last year’s vaccine, this year’s is a good match to the strains making people sick. (P4) It’s been a milder flu season so far, though health officials said it has not yet peaked. (P5) The numbers were presented Wednesday at a meeting in Atlanta of the Advisory Committee on Immunization Practices, which gives advice on vaccine use to the Center for Disease Control and Prevention. (P6) The committee also amended its flu vaccine guidance for people with egg allergies, saying research has shown it’s OK for them to get the nasal spray version made from live virus grown in eggs. (P7) The panel also said doctors no longer need to watch those with egg allergies for a half hour after a vaccination. But those who’ve had severe reactions should get vaccinated in a doctor’s office or medical setting. Do you get the flu vaccine every year? Why or why not? In your opinion, will there ever be a cure for the flu? Why or why not? Do you have any allergies or know somebody with allergies? If so, who and what allergies? So far, how effective is this year’s vaccine for the flu? Who gives suggestions to the Center for Disease Control and Prevention? Which type of vaccine was approved for people allergic to eggs?